Buy Online Now! 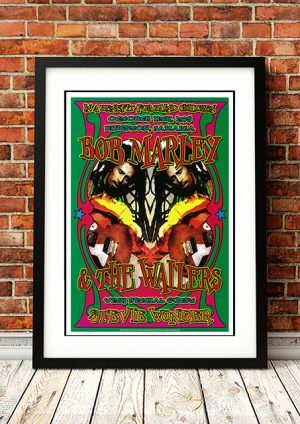 – Classic Bob Marley Concert Posters and Memorabilia. Jamaican singer, musician and songwriter Bob Marley served as a world ambassador for reggae music and sold more than 20 million records throughout his career making him the first international superstar to emerge from the so-called Third World. 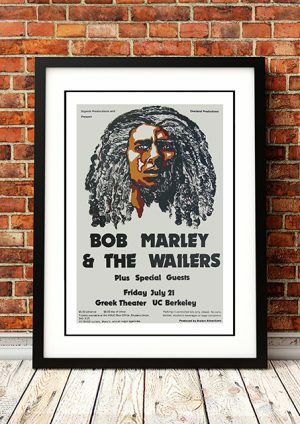 In 1963, Marley and his friends formed the Wailing Wailers. The Wailers’ big break came in 1972, when they landed a contract with Island Records. Marley went on to sell more than 20 million records throughout his career, making him the first international superstar to emerge from the so-called Third World. He died in Miami, Florida, on May 11, 1981. 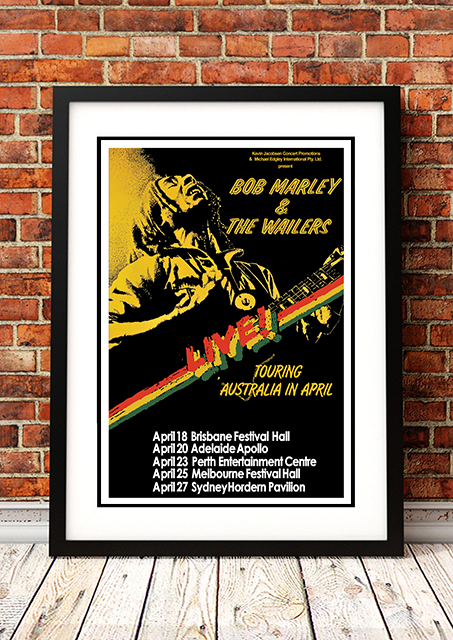 We stock some awesome Bob Marley Prints.